This is a PRE-2016 California compliant model that features a “Bullet Button” magazine release. IT IS NO LONGER LEGAL TO OWN IN THE STATE OF CALIFORNIA. A bullet button requires a tool for magazine removal, such as a bullet point. This bullet button can be removed and a conventional magazine release installed in it's place, however that is not a part we carry or service we offer. 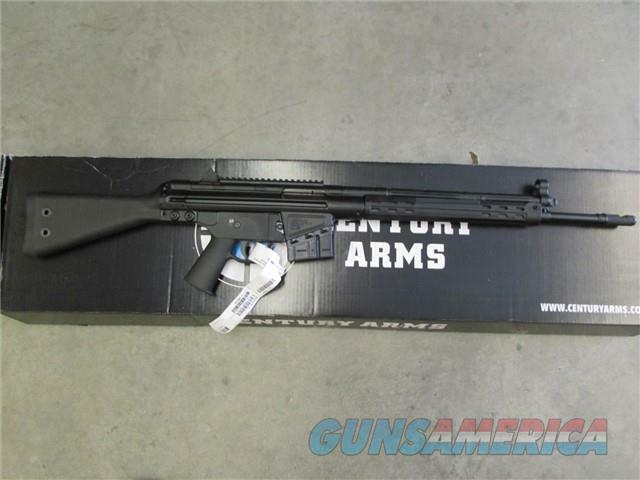 The C308 rifle is built around a roller locked delayed blowback system. The C308 battle rifle features a fluted chamber for reliable cycling and extraction, MIL-Spec 1913 Picatinny scope rail permanently mounted to the receiver, polymer furniture, 5/8x24 RH threaded 18" barrel for use with common muzzle accessories and our proprietary Chevron muzzle brake.